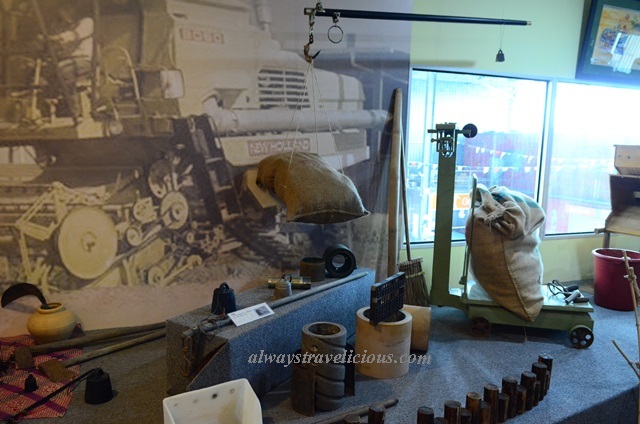 Paddy Processing Factory @ Sekinchan, Malaysia - Always Travelicious ! 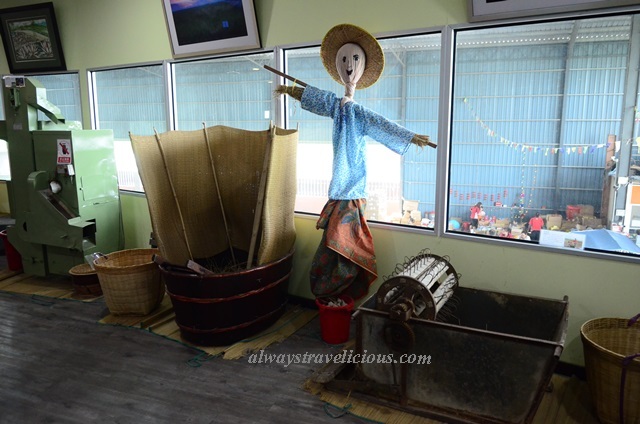 The paddy processing factory is enormous and it’s really popular where tourists arrive by the bus loads. A very cute buggy with paddy on nursery mats is at the entrance. 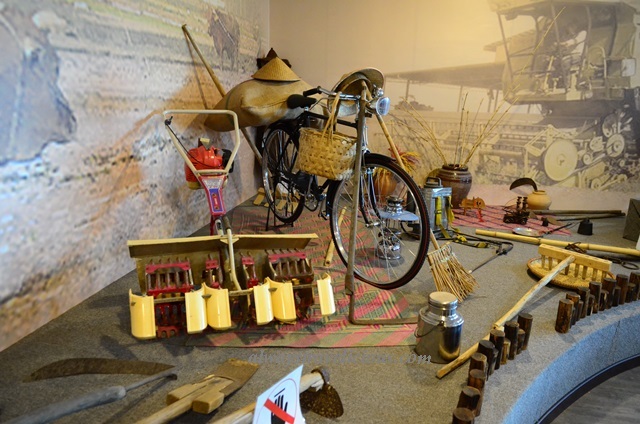 You can roam around the factory as you wish, visiting the cafe and souvenir shop. 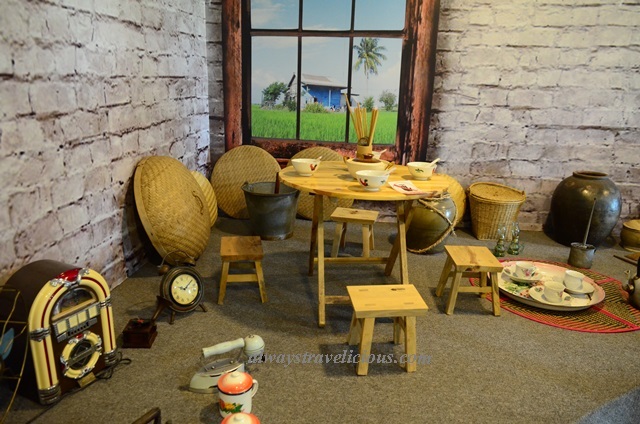 There’s a fee of RM 4 for going in the mini museum. You can use the remaining ticket stub to exchange for a small packet of rice (~ 250 g). 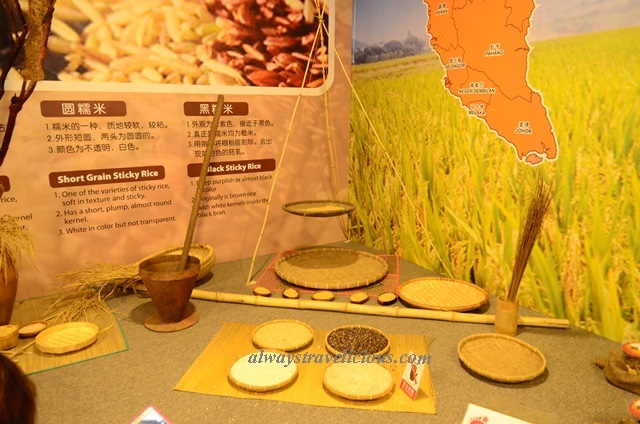 The museum tour starts off with a short video that shows the rice processing process from step 1, which begins with 1. seeds –> 2. seed soaking –> 3. seed planting –>4. rice nursery raising; all these steps are done in a nursery instead of directly on the field and it is a different concept that I understand as I always thought seeds are planted directly on the field; perhaps that was done in the old days. It is only at step 5 that land is prepared and by now (step 6) rice nurseries are in the forms of strips and rolled out onto the field as if rolling out carpets. The land is further prepared for 7. weeding –> 8. fertilization –> 9. land flooding and finally 10. Harvesting. The video is impressive as you see how modern technology plays a role in helping the mass production of rice. 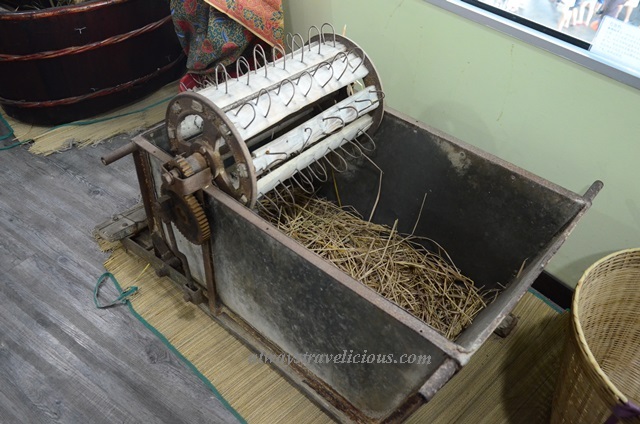 and take a stroll down memory lane to see the kind of machines that were used from the previous generation. 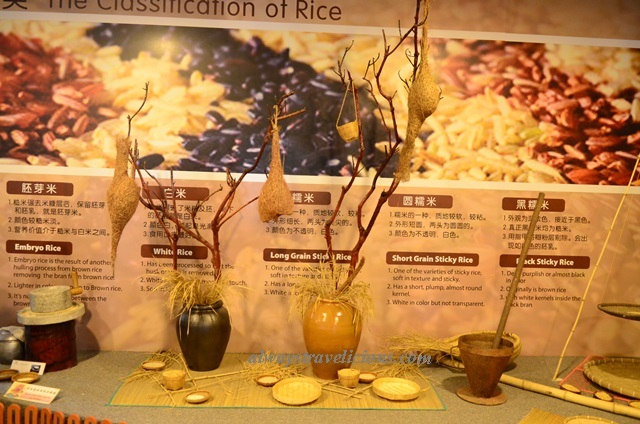 As you descend the museum, the souvenir shop is located on the ground floor, selling all sorts of rice produced in Sekinchan. You get the usual 10 kg ones in the range of RM 20 and above kg and you get some premium ones such as the Japanese breed. We bought this one – the pearl fragrant rice, RM 15 for 2 kg. It’s a Japanese breed and at first I was a bit skeptical about its taste but after trying it my doubts were all cleared as it is indeed plump, sticky and glossy little pearl-like rice grains after being cooked. It can’t be more suitable for pairing with Chinese dishes, especially those with gravy and the rice just soak up the gravy and lock in the flavor. For Japanese rice, I think the price is very affordable because imported Japanese rice like Nishiki sells at the price of RM 33 for 2.5 kg. We also bought the pearl brown rice ( RM 15 for 2 kg) but I haven’t had the chance to try it. Another type of rice available is the Pearl White Rice (RM 13 for 2 kg). 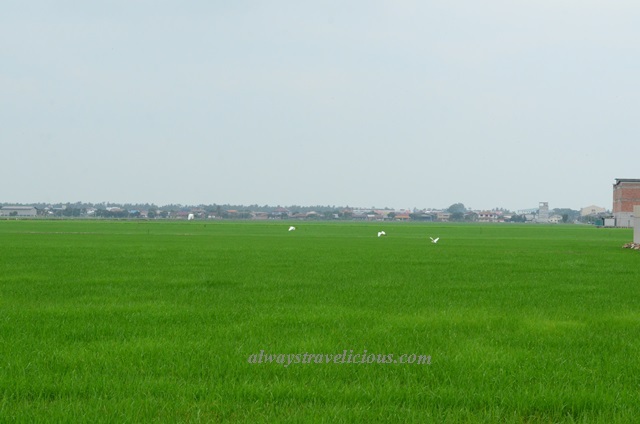 If you are not into visiting factories and museums, that’s OK but do make a point to hang out for a while at the gorgeous rolling paddy fields of Sekinchan. Oh wow. I didn’t know they organized these kinds of field trips at kindergarten level !